BuckStar crafts catchy original tunes with tones that carry from old school to new school. Their country/rock/R&B grew out of the regional mix-and-match music scene and features husband/wife duo Jenn Knapp and Rob Kopp, guitar ace Tom Menig, his brother Eric Menig and keyboard player Lucas Weber. At the heart of their music are Alleghany native Jenn Knapp’s original songs. Knapp began writing songs following the death of a close friend. She promised to learn guitar and was soon picking out chords on a guitar inherited from her grandfather. She and drummer Rob Kopp’s band Big Picture featured their songs. That band evolved in the Cheatin’ Buzzies – a mainstay on the regional music scene for over a decade with three albums and what Jenn describes as “a pretty substantial body of work”. Much of their recording was accomplished at guitarist Tom Menig’s Silver Maple Studio with Menig contributing guitar and pedal steel to their recordings. Kopp and the Menig brothers are also members of the Grateful Dead tribute band, The Deadbeats, with a steady schedule and strong draw on the west coast. BuckStar came to being in 2014 with their self-titled CD release in 2015. 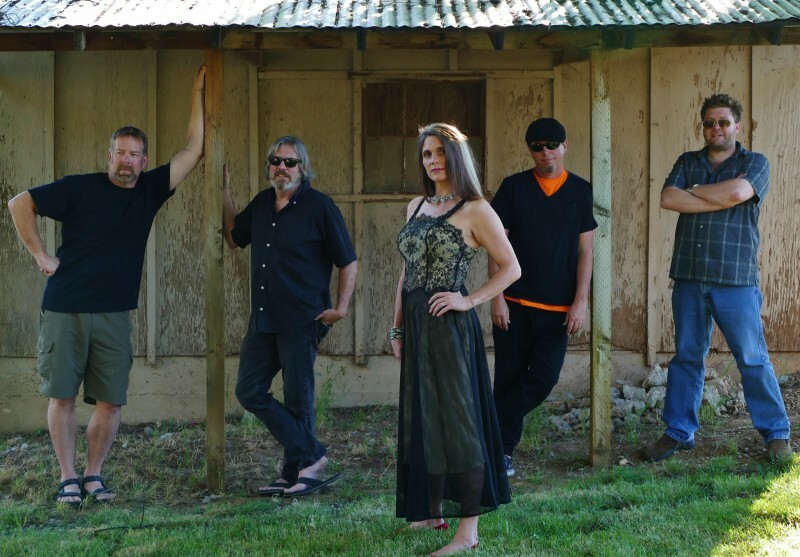 They were featured at the California WorldFest, played honky tonks from Joshua Tree to Alleghany, and are currently putting the finishing touches on their second CD.